Because that's the only explanation for why she occasionally sees things that aren't there, right? But one night, an impossible power erupts from her, and Em realizes the truth is crazier than she ever thought: she isn't losing her mind; she's magical. Thrown into an entirely new world of faeries, enchantments—and the annoying guy from down the road who, it turns out, isn't human either—Em barely has time to learn even the most basic of magic before another startling truth reveals itself: she has a Griffin Ability. A special kind of magic feared by most fae. 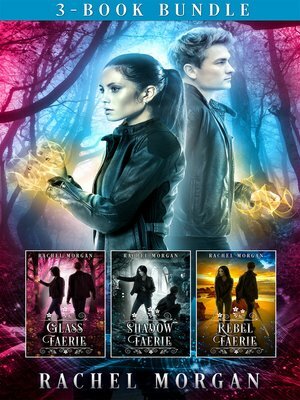 Now she's at the top of everyone's most-wanted list—including the mysterious glass faerie carrying out random attacks on fae. In this magical and terrifying world that she's entirely unprepared for, Em must try to figure out who she really is, whom to trust, and how to stay alive long enough to get back to her normal life. Meet a new heroine and catch up with old favorite characters in this thrilling adventure packed with enchanting magic, unexpected twists, and a dash of romance.